The director is asking for submissions from students to create his Holiday Cards. Artwork should be on paper no larger than 11″ x 17″ and students are asked to represent what the holiday season means to them. 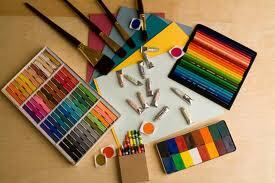 Any artists’ medium is allowed (paint, crayons, pastels, etc.). Submissions are due before the end of November. This entry was posted in Art, Updates by Ms. Duemm. Bookmark the permalink.